Life coaching is a great choice for you if you are wishing to take some time to examine yourself and find ways to increase you potential in all walks of life. I congratulate you for taking this initial step towards an enhanced life and a deeper understanding of self. I am a great believer in tailoring my packages to your personal needs and goals. So although I explain within this website various types of Life Coaching, when you work with me it will always be a bespoke and flexible plan which will work for you. We are all unique and one size does not fit all. 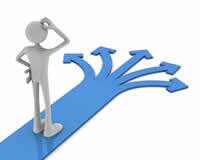 At various times in our life we are offered options and the opportunity to choose a specific path, and occasionally this choice can become overwhelming and confusing, life coaching can help with your decision making process and help you find the right path for you in the moment. Being able to take the time to weigh up all the options and pros and cons is a really important skill as is the ability to take a step back and evaluate your options, life coaching can help with this process. Please feel free to browse my website and contact me if you have any questions. I look forward to hearing from you soon.